Many countries across the globe have their version of a fresh tomato salsa. 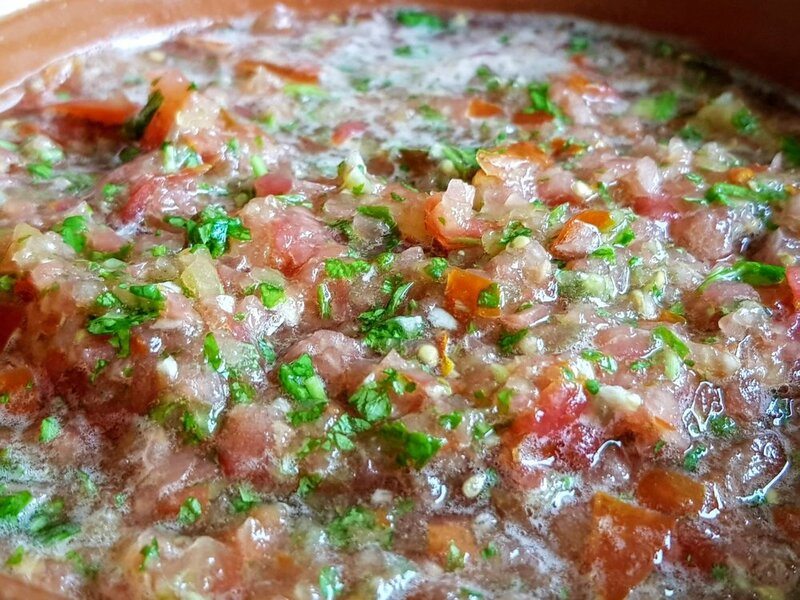 This Omani salsa is not just delicious and piquant, it is the apex of all salsas. It is usually served alongside aromatic basmati rice topped with cuts of meat, chicken or fish. Place all the ingredients in processor and pulse to a coarse texture. Per Serving: 362 Calories; 15g Fat (34.4% calories from fat); 18g Protein; 46g Carbohydrate; 15g Dietary Fiber; 43mg Cholesterol; 1369mg Sodium.